All the papers in this beook are now available in PDF format to read on-line, download and/or print out. Most papers have file sizes rolex replica watches between 150 kb and 500 kb. Depending on the speed of your connection, these files will take between one and four minutes to download. Papers with photographs generally have larger files and these are marked in yellow (over one megabyte) or red (over two megabytes) and these will take longer to download. 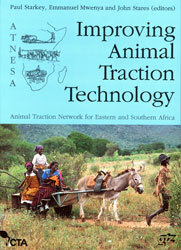 In ATNESA countries, this book can be obtained from the national networks.